Exploring how to manage a cloud estate and improve business efficiency. Cloud services are growing significantly faster than other IT services with many companies realising the benefits of using the cloud including cost saving, speed, and reliability. However, it is important to keep track of all accounts, projects, data and applications which will be stored on the cloud to ensure nothing is overlooked and left to gather dust or it risks the cloud estate becoming sprawling and difficult to manage, ultimately leading to poor cost optimisation. Cloud services have found new use cases across the entirety of a business, so it is essential for a company to implement a level of governance on the use of the technology. Research from Gartner has found that companies without a plan in place for managing the cloud may overspend by 70 per cent or more. Here we take a look at how companies can unlock the strategic value of the cloud. 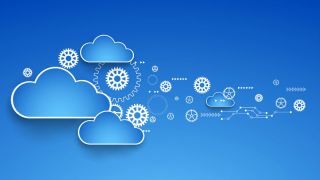 The Cloud Industry Forum (CIF) estimates that over 88 per cent of businesses in the UK now use the cloud. While it’s fantastic to see so many companies making the leap to cloud technology, many of them then fail to truly capitalise on what the cloud can offer their business. Benefits of the cloud include flexibility of delivery, operational cost savings and scalability but there seems to be a prevailing attitude that once the cloud has been utilised, that’s the work done and dusted. This has led to an increasing trend of businesses migrating to the cloud and then failing to ensure they manage their new, sprawling cloud estate. Many areas of the business will be new to this kind of technology. In a recent report from the CIF, a lack of internal skills and knowledge was the second most cited difficulty when implementing cloud technologies. Businesses need to ensure all departments undergo thorough guidance and training to make sure the company as a whole is making full use of capabilities. Businesses must adopt a management plan early on or risk their cloud estate spiralling out of control. Poor management of the cloud estate will only lead to confusion on what data or projects are on the cloud, which team owns them, whether they are active, plus many more questions that will take time to sort through. Without oversight, it would be easy for a project to remain on the cloud longer than it needs to or for a department to create a small project that no one else knows about. Any unused infrastructure on the cloud may also lead to significant security risks in the future - something many companies, both large and small, are keen to mitigate. With sensitive company or customer data being stored, companies need to ensure that the cloud is helping to prevent any system vulnerabilities as well as reinforcing current security processes. If areas of the cloud are left unused, it will be more difficult to keep track of both updates and vulnerabilities, therefore hindering the process of eliminating the risks. Additionally, a lack of automation means that the cloud is not operating to its full potential, and there may be preventable delays in the recovery process when things go wrong. Many companies are migrating to the cloud to solve the issue of project delays but a lack of understanding around the technology won’t help speed up processes. Companies and executives want to use the cloud to operate at peak efficiency and this cannot be achieved if there is no governance of the cloud. All of these issues mean poor cost optimisation of the cloud which will only be to the detriment of the business. Companies are looking to the cloud to make business operations smoother, faster and most importantly, cheaper. If they aren’t using the cloud to its full potential, it defeats the purpose of implementing the technology to save and cut down on costs. In fact, a lack of cloud estate management could mean a company wastes money through excessive on-demand purchasing and low resource utilisation. Businesses need to ensure they are getting their money’s worth from the cloud and have a strategic plan in place that they can stick to. Many businesses are failing to unlock the value of the cloud due to confusion between simply moving their IT systems over to the cloud and developing a transformational, holistic strategy which will yield all of the benefits of cloud infrastructure. One of the most important things a business needs to do to combat these risks is to conduct a thorough evaluation of all the systems on the cloud; this ranges from data management, account management, billing and monitoring to security, recovery and cost optimisation. Businesses must have a holistic understanding of what there is and where it is so they can build from that initial assessment by reviewing the cloud regularly and creating and sticking to a strategy to improve these areas; fully optimising the cloud and reducing costs. Constructing this roadmap will be key to restoring order to the business’ cloud estate. By understanding what areas need improvement, the strategy can be implemented to target these particular areas and ultimately lead to the scale, agility and cost benefits that the cloud has to offer; as well as helping to improve the business’ efficiency overall. Automation will be a key component of this strategy, helping with all processes including building and deploying applications, writing fully tested application code and the deployment of networking and infrastructure. Through eliminating manual steps, businesses will ensure a consistent and reliable operation and development process, as well as reduced procedure speeds. Introducing automation further allows for regular monitoring and improvement which will allow a business to detect and resolve any problems before they become a significant issue and affect services. Harnessing cloud technology is an exciting opportunity for many businesses. Further, the increasing trend towards elastically scalable and serverless cloud services means the technology is also finding new uses that go well beyond what is possible in traditional IT. This is leading a change in behaviour across businesses and their departments including sales, marketing, HR and more. Businesses must be aware that cloud, by nature, can be difficult to manage, which is why developing a well thought-out strategic plan is key to unlocking the strategic value of the technology. If the cloud is left to grow organically without constant review, management or a focus on costs, a number of costly issues can arise. Regular assessment and governance of the cloud estate is crucial if businesses want to ensure IT and wider business priorities are aligned and running efficiently.